Bling em! 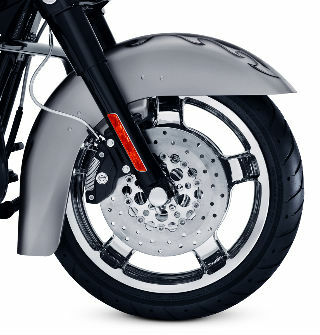 We offer chroming of your factory Street Glide wheels or you can swap them out thru our chrome exchange program. Why pay $700 a piece at the dealer when you can get them direct for less. You must send in your wheel in undamaged/unaltered condition. If you would like us to send you the wheels up front for the quit swap we can do that. A security deposit is required. We also offer tire mounting and balancing. Contact us with any questions.